The number to call in an emergency is 911 – it is posted in all telephone booths. 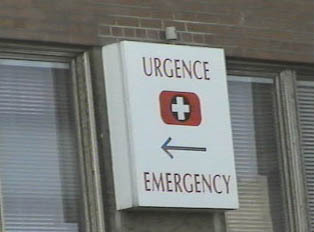 In an emergency, one will either be taken to a neighborhood clinic with an emergency room, or to a larger hospital. Generally, Canadians are registered in the clinics closest to where they live. There is usually a doctor on duty between 8:00 a.m. and 12 noon for walk-ins. When a traveler becomes ill, it is best to either get a referral to a local clinic or to go to the hospital. Generally, fees are reasonable for an uninsured foreigner. "Can I Have the Number For the Clinic, Please?"